Baltimore Mayor Catherine Pugh announced her resignation as a Board member of the University of Maryland Medical System following a controversial sale of a book she published. 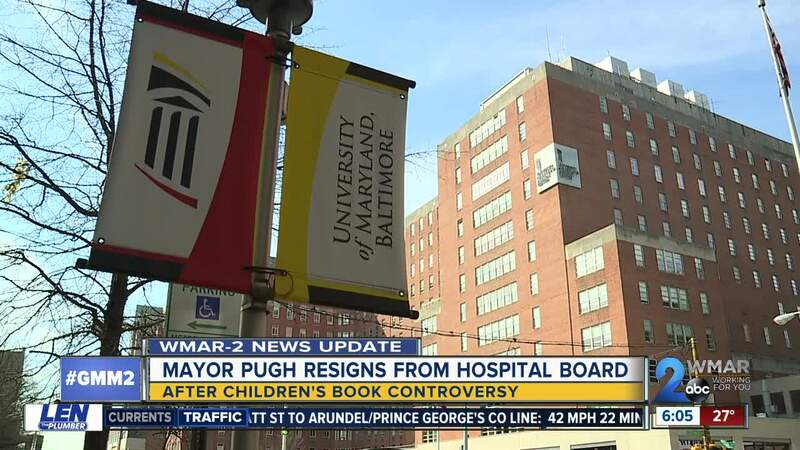 BALTIMORE — Baltimore Mayor Catherine Pugh announced her resignation as a Board member of the University of Maryland Medical System following a controversial sale of a book she published. I have submitted my resignation as a Board member of the University of Maryland Medical System to its Chair, Stephen A. Burch. It has been an honor to have been associated with the important work of the UMMS Board, but the fact is, I have many other pressing concerns that require my full attention, energy and efforts. I have the utmost admiration for the University of Maryland Medical System as one of our City’s and State’s greatest assets and will continue to advocate for its tremendous impact on the health of our region. Her resignation follows a $100,000 deal to provide 20,000 copies of "Healthy Holly" to the University of Maryland Medical System for free distribution to children in Baltimore. Today, I accepted Mayor Catherine Pugh's resignation from the University of Maryland Medical System Board of Directors. The Board is grateful to Mayor Pugh for her years of dedicated service and staunch advocacy on behalf of the Medical System. Mayor Pugh’s volunteerism has helped enable long-term, System-wide growth while improving health care delivery for many millions of Marylanders. Last Thursday, WMAR-2 News reported that Senator Jill Carter sponsored a bill to cut out such deal-making at an institution receiving taxpayers' dollars. "I've always had some concerns, but then there was specifically a situation where a minority business person wanted to do business and kind of raised my concern or my suspicion that there might be something going on,” said Carter, “so I feel at just the very least there should be full disclosure to the public." The proposed bill, which reached the Senate Finance Committee on Thursday would require the system's board members have no financial ties to it and own no business, which contracts with it. Carter said Pugh was not the target of her legislation because she did not even know Pugh was a member of the board.